The University of Florida has become the first Florida school to break into the list of top 10 best public universities, coming in at No. 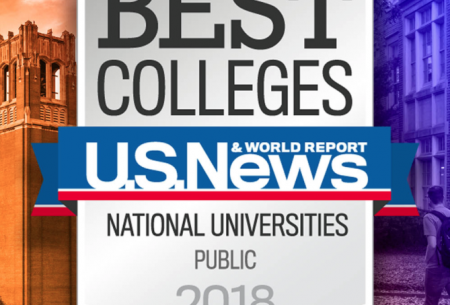 9, according to the 2018 U.S. News & World Report Best Colleges rankings released on September 13th. Now the state’s highest-ranked university, UF last year was ranked No. 14 among publics and No. 50 overall. Click here to read more.